Green Sapphire Sterling Silver Luna Necklace . Rose Cut Sapphire . Sterling Necklace.Rustic. Necklace. Sterling Flower Necklace . Beaded Sterling Charm Necklace. Handmade . Rustic . Earthy . Announcement Nin & Bumm is an eclectic collection of artistically designed jewelry , a few bags and some hand picked vintage Native American jewelry. My jewelry & bags are made from the finest gems & material with lots of love in my Mayo, Maryland USA. studio by the bay. Most are limited editions. READY TO SHIP ~ NEXT BUSINESS DAY! Nin & Bumm is an eclectic collection of artistically designed jewelry , a few bags and some hand picked vintage Native American jewelry. Pink Sapphire Sterling Silver Luna Necklace . Rose Cut Sapphire . Sterling Necklace.Rustic. Necklace. Sterling Stars + Moon Necklace . Beaded Sterling Charm Necklace. Handmade . Rustic . Earthy . 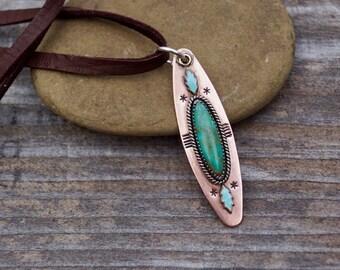 Sterling Turquoise Fringe Necklace . Beaded Sterling Charm Necklace. Handmade . Rustic . Earthy . Sterling Silver Under The Sea . Necklace . Celestial . Hand Stamped. Star . Sterling Necklace.Rustic. Necklace. Rose Sterling Silver Necklace. Tiny Crystal. Sterling Necklace.Rustic. Necklace. Soaring Bird Sterling Silver Necklace. Etched. Sterling Necklace.Rustic. Necklace. Mountain Scene Sterling Silver Necklace . Tree . Sun . Sterling Necklace.Rustic. Necklace. Rustic Night Bird Moon & Stars Sterling Silver Necklace . Celestial . Hand Stamped. Star . Sterling Necklace.Rustic. Necklace. 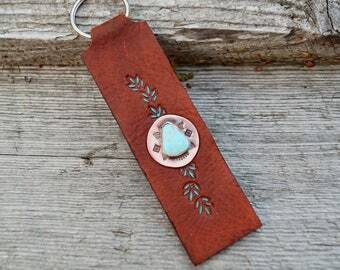 Sterling Turquoise Arrow Necklace . Sterling Necklace. Turquoise. Handmade . Rustic . Earthy . Enamel Flower Bracelet . Repurposed . Leather . Inked . Southwestern . Very nice cuff, well made and pretty! Seller is responsive and prompt. Wow!...I'm so moved by this beautiful piece; it's so full of innocence and wonder. I feel like it could be a children's book illustration (the cover! =). The craftsmanship is just superb and the packaging was beautiful. Thank you for sharing your talents! Sterling Silver Gazing Rabbit . Necklace . Celestial . Hand Stamped. Star . Sterling Necklace.Rustic. Necklace. 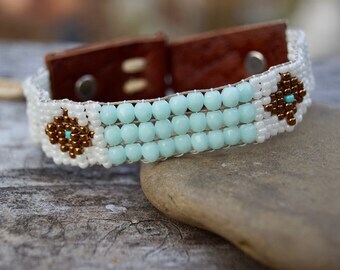 Sterling Dainty Concho Turquoise Bracelet . Leaf . Repurposed . Leather . Vintage Sterling Concho . Southwestern . I have lived by the water all of my life, we are located about 12 miles south of Annapolis, MD in the beautiful little town of Mayo, MD. I have collected vintage stuff for about 20 years, my specialty is vintage costume jewelry. I have also designed jewelry for just as long. I worked for a jewelry designer for 2 years and loved it. My jewelry was featured in 2 catalogs, featured in many shops and I attended many East Coast Shows. When the internet came along it was another way to sell my vintage jewelry and my own jewelry creations. I have also enjoyed sewing long before designing jewelry. 2014 I decided to make the move to metalsmith, before most of my jewelry was beading and wire. I now work pretty much full time producing one of a kind sterling silver pieces using the finest hand picked materials. I love nature and animals so many of my jewelry pieces will reflect that in their design. THANKS FOR STOPPING BY...... ENJOY! Hello - I love designing jewelry, sewing & collecting vintage textiles for repurposing. PLEASE NOTE: CURRENTLY I AM NOT TAKING ANY RESERVE REQUESTS FOR ITEMS. You MUST contact me within 7 DAYS of receiving your item(s). Items to be returned or exchanged must be sent back in ORIGINAL condition, with the original number of items. Items must be received by us within 3 weeks of from the date your package was delivered. If something is damaged during transit- please contact me within 7 DAYS of receiving package with a photo of the damaged item.